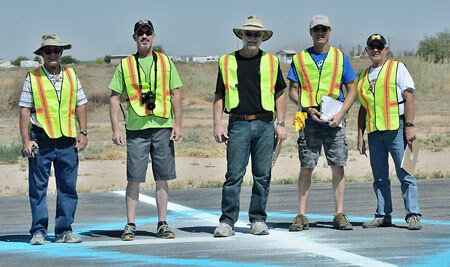 The Phoenix Chapter of the Ninety Nines held a fly-in and spot landing contest on April 18 at Ak-Chin Regional Airport. Approximately 17 chapter members attended the event. 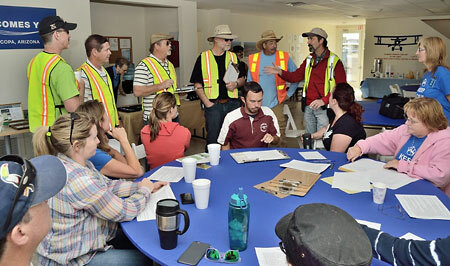 The competition started with instructions from Airport Manager, Tim Costello. The judges got set to watch the mark. Friends and supporters gathered to watch. Helen Buelen is spot-on with her Shinn. 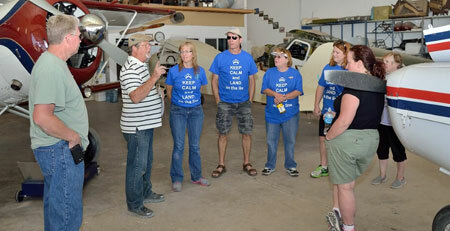 After the competition, participants attended training seminars presented by Andy Estes of Desert Rat Aviation. 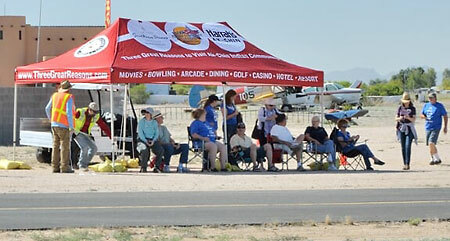 The Ak-Chin Regional Airport thanks the Phoenix Ninety Nines and looks forward to more spot-on fly-in events. Photos courtesy of David Langdon, Desert Rat Aviation.